My original intention for this week was to do a ‘straight’ factual outline of the careers of the three most famous ‘tarpaulin’ officers of the Restoration period, the closely inter-connected Sir Christopher Myngs, Sir John Narbrough and Sir Cloudesley Shovell. But the more I thought about it, the more I realised that there was a more important theme which their careers revealed. And for once, Wikipedia provides perfectly adequate outlines of their lives, which makes any repetition here superfluous: Myngs, the Commonwealth sea-captain who became an almost legendary ‘quasi-pirate’ in the Caribbean before becoming a knight and a flag officer, dying heroically during the Four Days Battle of 1666 (which will be the subject of the fifth Quinton novel); his protege Narbrough, who commanded a Mediterranean fleet against the Barbary corsairs in the 1670s before dying on a wild goose chase after a fabulous sunken Spanish treasure; Shovell, the protege of both, who became one of the most successful admirals of the long war with France after 1689 before perishing in one of history’s worst and most significant shipwrecks, the loss of the Association in 1707, which triggered the concerted campaign to discover a way of accurately determining a ship’s longitude. Writing twenty years ago in my first book, Gentlemen and Tarpaulins: The Officers and Men of the Restoration Navy, from which this blog takes its title, I unconsciously perpetuated a myth about these three men. Pepys recorded how Myngs boasted of his father being a shoemaker and his mother a hoyman’s daughter, and at the time I accepted this at face value, noting how Shovell had started out as a captain’s servant – effectively the ‘cabin boy’ of popular fiction and pantomime – to Narbrough, just as Narbrough started in the same way under Myngs. It was only after writing G&T that I got to know north Norfolk really well, spending a fair amount of time in the once-wealthy ports (albeit decayed even by the 17th century) along the coast: Burnham Overy, where Nelson later learned to sail, Wells, Morston (where I’ve done some of my own sailing), Blakeney, Wiveton, Cley, over to Salthouse and Cromer.
. Narbrough was from the tiny, decayed village of Cockthorpe just down the coast from Salthouse; he was probably related to Myngs as another Narbrough lived at Wiveton, even closer to Salthouse. 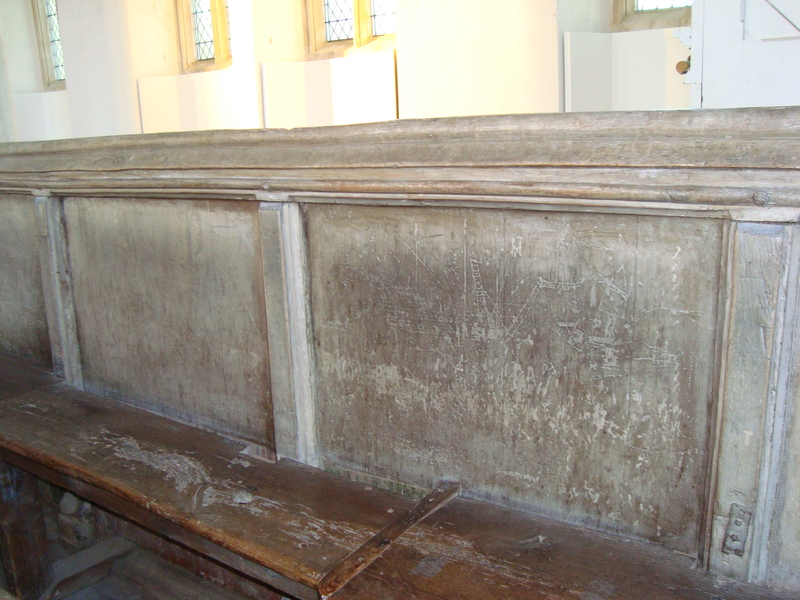 This Narbrough was married at Salthouse’s glorious church, where 17th century graffito sailing ships can still be seen, carved into the pews, and where the gravestone of Myngs’ daughter Mary is still extant. 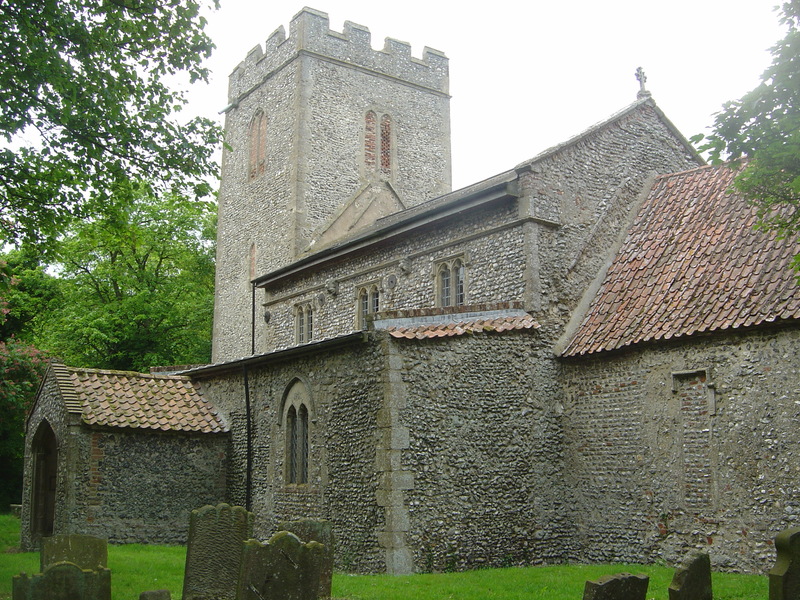 Shovell, in turn, was also baptised at Cockthorpe, but his father was from a well-off Norwich family and his mother came from the Cley merchant community. 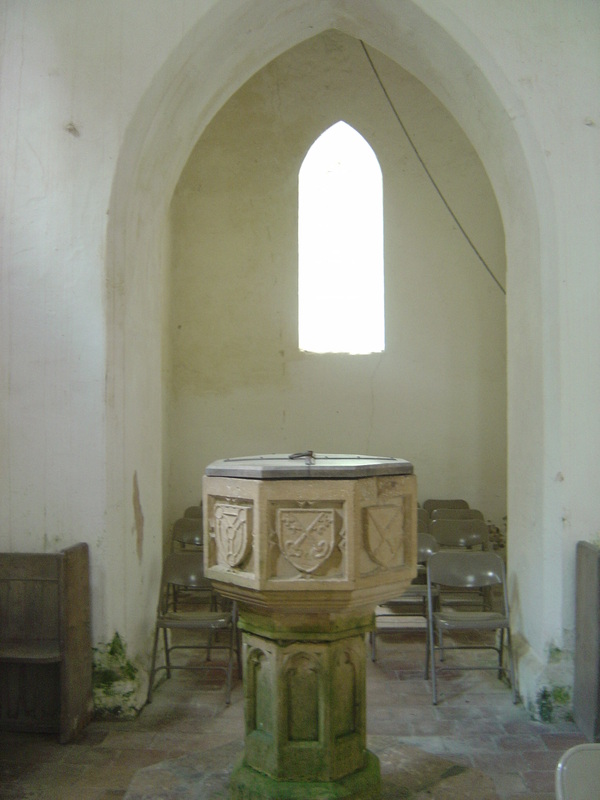 Shovell did indeed go into sea under Narbrough, just as Narbrough went to sea under Myngs, but in many respects this was as clear-cut a case of patronage among the well-to-do as the promotion of many of Charles II’s ‘gentleman captains’. Therefore, it’s clear that tarpaulins like Myngs (and Sir Richard Munden, the subject of last week’s post) emphasised or exaggerated their humble origins, perhaps partly in order to make themselves more appealing to the wider public and to build personal legends around themselves. With the courtly connections and genteel mannerisms of the ‘gentleman captains’ under attack in Parliament and pamphlet literature from the 1660s through to the 1700s, stressing one’s humble background and unpretentious ways became an important means of giving oneself a distinct and populist character. For example, Sir William Booth, who became a friend of and source of naval information for Pepys in the 1680s, claimed that he spent three years sleeping on deck ‘with nothing over him but a tarpaulin, that his seamen might be the better contented to do as he did’ – an implausible claim (and Booth’s whole career reveals a man prone to exaggeration), but one that was clearly intended to impress Pepys, who was known to be sympathetic to the tarpaulins and antipathetic to Booth’s factional rival, the notoriously immoral gentleman captain Arthur Herbert, the future Earl of Torrington. Thus the tarpaulins were aware of ‘spin’ and ‘image management’ long before modern marketing coined those terms. In fact, many ‘tarpaulin’ officers, like Myngs and Shovell, came from backgrounds that were arguably as respectable as those of many ‘gentlemen’; as I argued in Gentlemen and Tarpaulins, the key difference between the two groups was not social origins but career pattern. 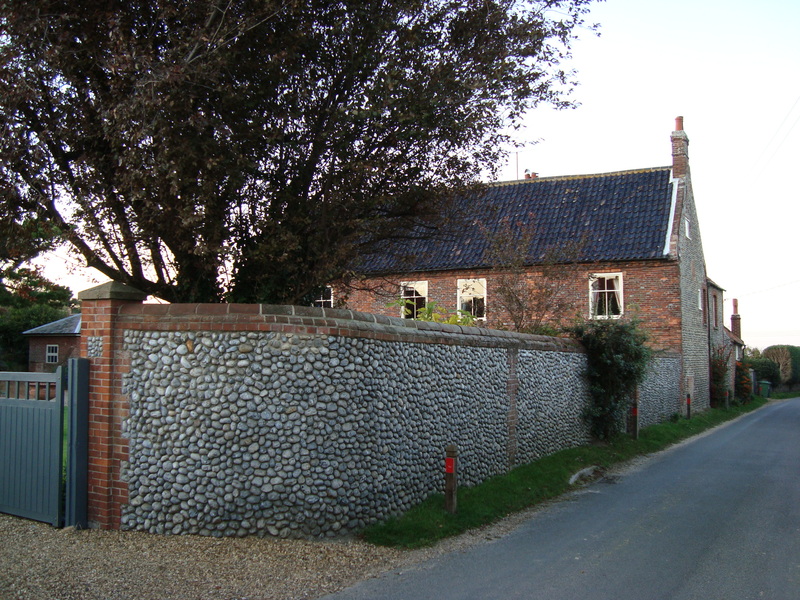 This is particularly apparent when one visits an area like north Norfolk, comparatively isolated from the rest of the country, dominated by a few great houses (Felbrigg, Blickling, Raynham), but otherwise characterised by tightly-knit, interrelated and intermarried mercantile communities in which lesser gentry could be found alongside families of humbler status. 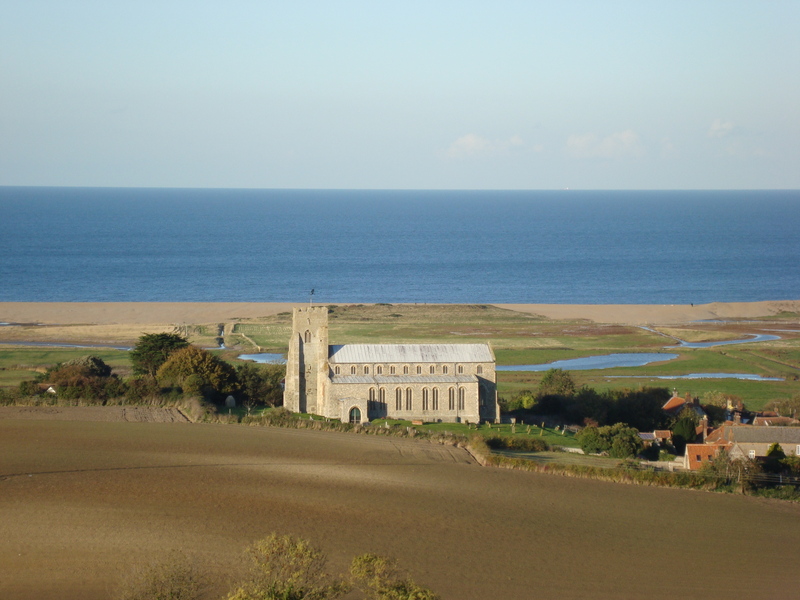 These tight networks immediately become apparent when one visits the graveyards of, and studies the monuments within, the superb churches that line the north Norfolk coast. I suppose the moral of this story for historians and novelists alike is simple – nothing beats actual research ‘on the ground’. It’s possible to glean only so much from ‘mainstream’ books or manuscript sources. A sentence on a monument high on a church wall, or a paragraph in an otherwise dubious local history written a century ago by an enthusiastic amateur, or simply looking out over a landscape and suddenly realising the possible connections between person A in village X with family B over in village Y: all of these things can provide insights that one would never have obtained elsewhere, as well as providing real local colour and depth of description in both fiction and non-fiction. Plus of course this sort of fieldwork has the added advantage of justifying holidays in some lovely parts of the world!! Finally, a Merry Christmas and Happy New Year to all my readers. This blog will return on 3 January 2012.